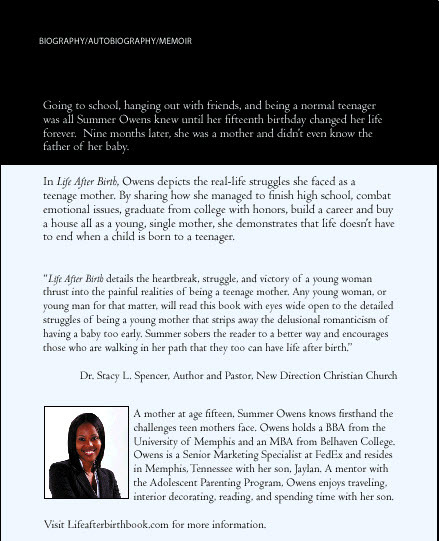 Autographed copy of Life After Birth: A Memoir of Survival and Success as a Teenage Mother [Paperback] – Summer Owens S.O. What! 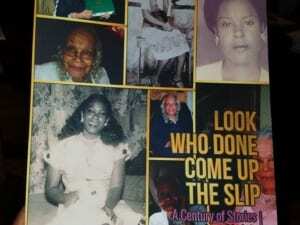 Discouraging teen pregnancy yet encouraging teen mothers and everyone who faces life’s challenges, this true story of a former teen mom who uses the S.O. What! philosophy to overcome her circumstances to become a success story will move you to live a no excuses life too. Everyone from teen moms to mature men will learn something from the author’s journey that will change their life. Get a copy for yourself and one for someone you want to see overcome the obstacles in their life.